It’s felt like a really long week this week. I suppose that’s always the case when you have to return after a week off. 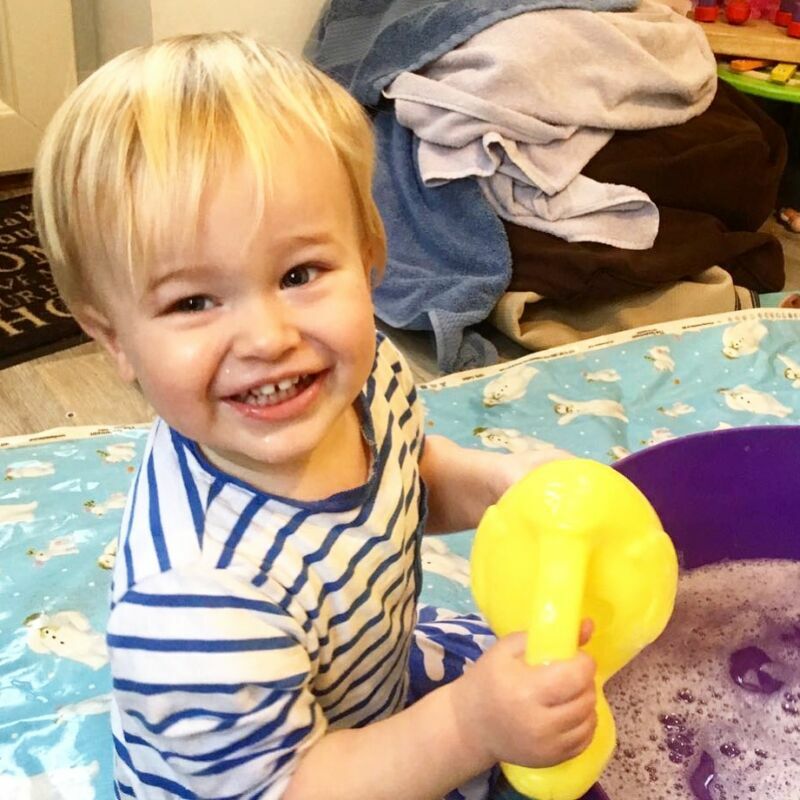 Dexter’s had a wonderful week at the childminders going out here, there and everywhere, but during our days together it has felt like we haven’t achieved much at all. I’ve been full of a cold yet again and although haven’t felt ill, I have felt a little lethargic and have been a lot lazier than I would have liked this week. We still found time to bake on Sunday and have made a bara brith ready for St. David’s day on Thursday. I am really grateful to a blogging friend of mine who is always willing to share opportunities with me. 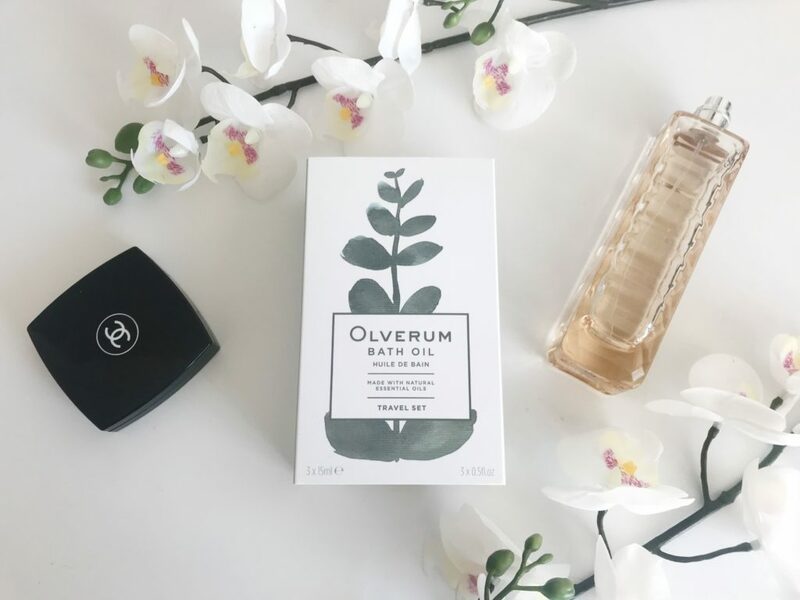 This girl keeps my blog income ticking over and I hope she realises how grateful I am for that. I know she reads every post so THANK YOU and also you’re amazing! Aside from sharing blog opps with me, we talk about so many things from blogging to day to day life and I’m very fortunate to have her in my life. I’m also very grateful to the many brands who agreed to collaborate with me for my Mother’s Day Gift Guide which is going live next week. I’ve been sent so many gorgeous things and I am so grateful to blogging for all the pretty things it brings me. We purchased some daffodils on Saturday afternoon. They were the only bunch left in the big box in Sainsbury’s and were looking a bit worse for wear. I showed Dexter how to put them in a vase and add water and how we had to be patient and hopefully wait for the flowers to bloom. With a bit of help from the wintery sunshine on Sunday, a few of the buds opened and we have some beautiful daffodils on our kitchen table brightening up our home. I have been loving the sunny days and lighter nights even though it has felt so very cold. 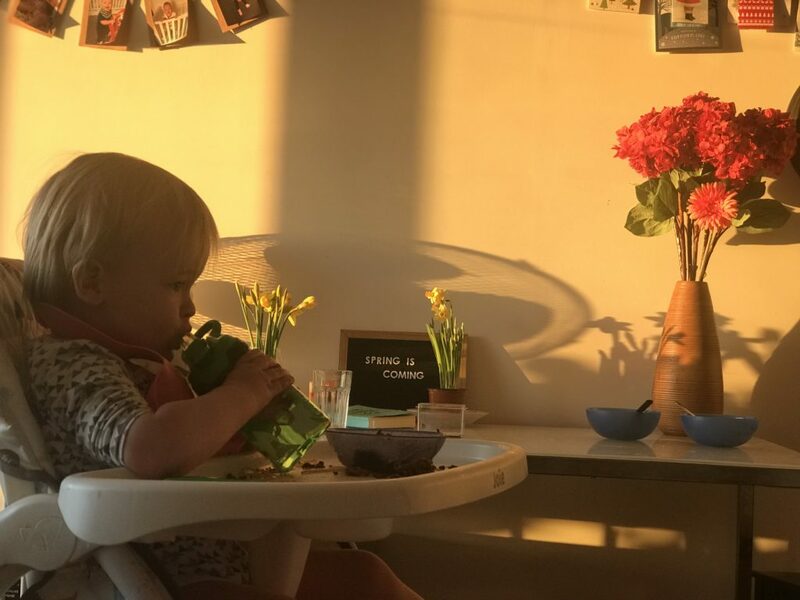 On Sunday evening we ate our dinner as the sun was setting and the light falling into the lounge and kitchen was just perfect. I had my daffodils nearby along with a lovely smelling candle which just set the mood perfectly. Sometimes the lazy days can be just as much fun. I hope spring is here soon, and pushes all this snow away. I am so looking forward to light jacket weather. Good blogger friends are invaluable and I am so glad you have such a good and supportive one. I love having people to talk to about this online world and opps! Your daffs look lovely and well done to Dexter for being so helpful – he’s a little beauty! 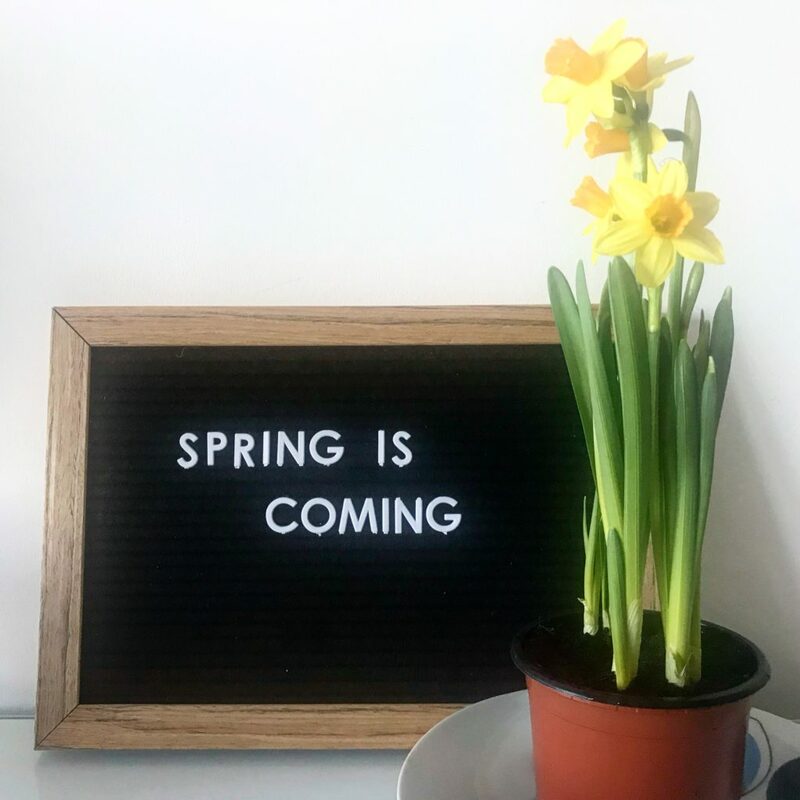 I keep eyeing the daffodils up in Lidl, but I can’t tell if I am ready to take the plunge for SPRING in my home when there’s so much snow around haha!